The former Old Orchard Beach fire chief who has plead guilty of setting a fire to a large area of marsh land is slated to be sentenced on Wednesday. Ricky Plummer is scheduled to appear in York County Superior Court at 1 p.m. Wednesday. 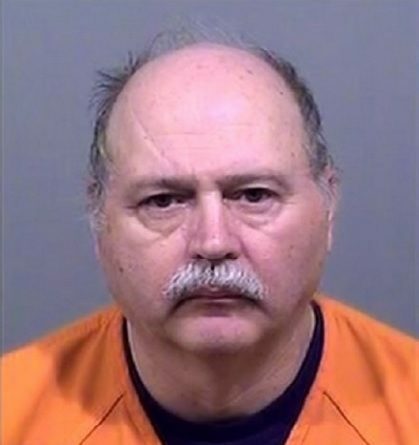 Plummer, 61, pleaded guilty in October to starting a fire that spread over more than 40 acres of marsh grass and woods north of Walnut Street in Old Orchard Beach while he was the town’s fire chief on April 15, 2016. About 100 firefighters from Old Orchard Beach and several surrounding communities worked about two hours to extinguish the fire. Authorities reported flames were as high as 30 feet and came as close to 100 feet to a nearby condominium complex. The area at the time was on a fire weather watch by the National Weather Service due to dry temperatures and high winds. Investigators watched surveillance footage from a nearby hotel which showed Plummer and his work vehicle near the area of the fire’s origin on April 15 shortly before the fire was reported. Plummer was charged with arson on May 7, 2016. Plummer was interviewed by Maine Forest Ranger Matthew Bennett on the day of his arrest. Plummer told Bennett that he had walked out into the woods and marsh area on April 15 to get some “peace” and smoke a cigarette he had taken from his wife, according to an affidavit by Bennett. Plummer told Bennett he threw used matches on the ground, and then threw the cigarette in the area of chest-high cattails. Plummer told the forest ranger he walked out of the marsh and woods area, unaware that a fire had started. He told Bennett he was not a frequent smoker, and no one would be able to verify this habit. No cigarette butts or smoking material were found at the origin of the fire, according to Bennett. Plummer was put on administration leave after his arrest and resigned from the position May 15, 2016.